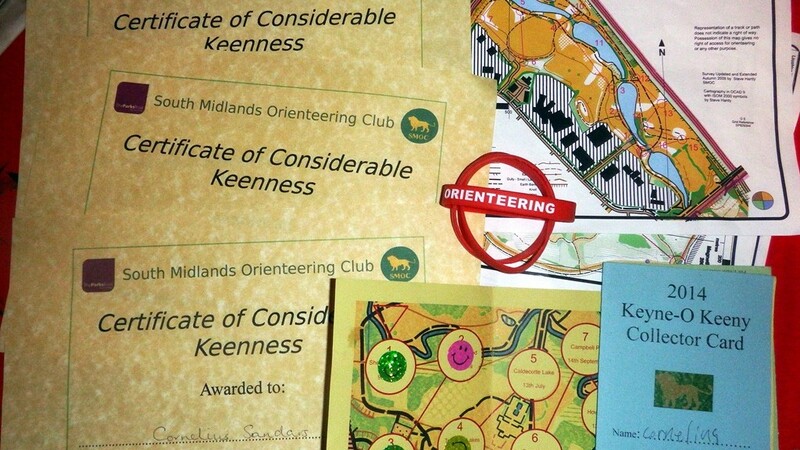 Boys got certificates and gift wrist bands for getting half way through the eight 2014 Keyne-O orienteering events. 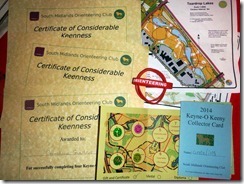 These are held monthly from March to October. 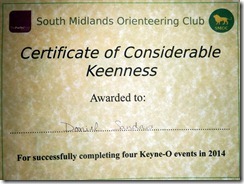 They are run between South midland Orienteering Club and the MK parks Trust. 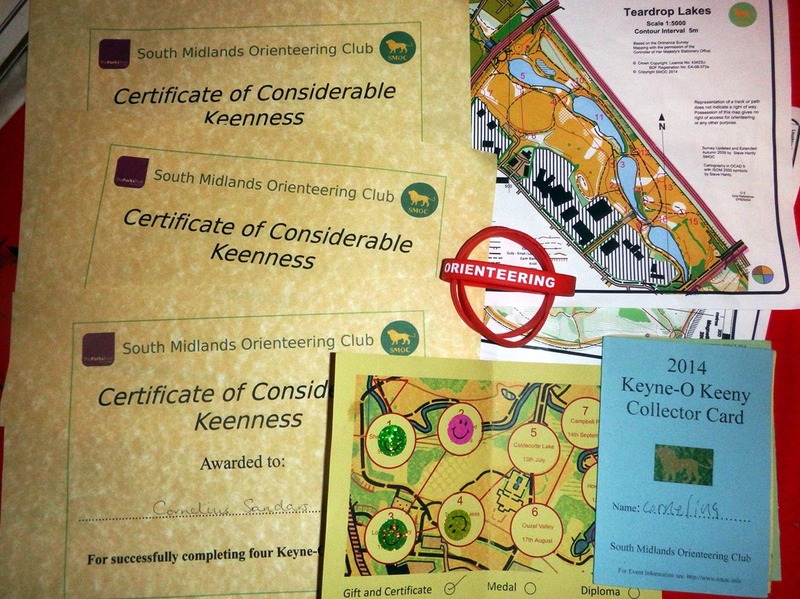 They are a great way to discover and explore MK’s hidden green space. This was quite an interesting park, nice for a walk about on a slow day. 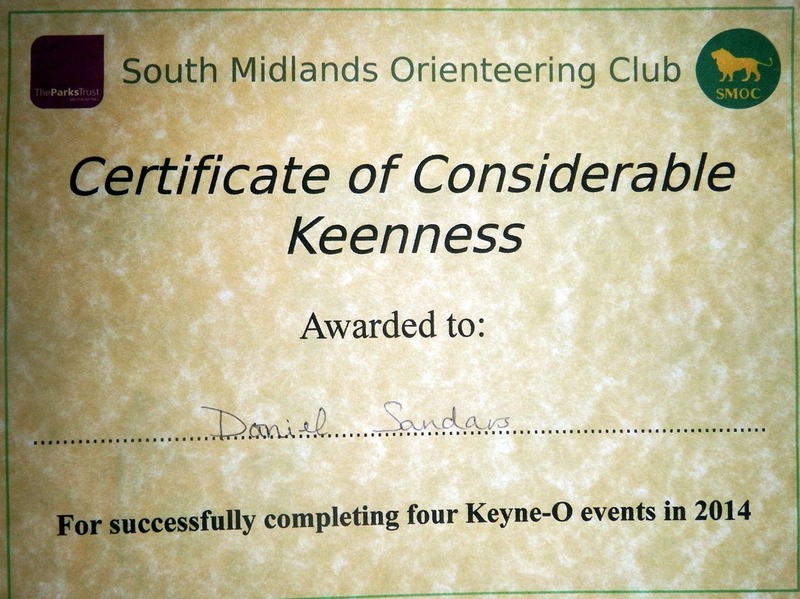 All members of the family turned out, although the kids felt it was a long slog to the ‘Somme’ on hot day so soon after a holiday to Malta.